Lewes Unleashed is an organization of dog crazy people who saw the need for a dog park in Lewes, Delaware. The dog park is now a reality, and the organization is committed to maintaining and operating the park for the benefit of our members and their dogs. A dog park is a contained area where dogs are allowed off-leash with their owners so they may interact with other dogs and dog owners. Dog parks help dogs become friendly and social, reducing aggression and promoting good health. Nationally, dog parks are one of the most used areas among public spaces. Dog parks also promote a sense of community among dog owners and other dog park users. 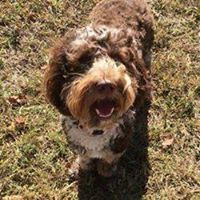 A dog park for Lewes regional area! Dog parks are for dogs AND people. The dog park opened its gates in August 2016. Currently, Lewes Unleashed now has over 700 member families with approximately 400 living in the Lewes zip code. The park is an unqualified success with a bright future, and we will continue to improve and enhance its amenities. Thank you everyone for your support.